In this paper, the design and optimization of tundish size for single-strand slab are studied. A three-dimensional mathematical model is established for calculating the flow field and temperature field of molten steel in the tundish with different length to height (L/H) ratios, width to height ratios (W/H), and angles of edges. The concentration distribution curves of the tracer at the outlet are calculated by using component transfer equation. On this basis, the average residence times and flow patterns of the molten steel can be obtained. The trajectories and the removal ratios of the inclusions are calculated by using Lagrange particles tracking model and DPM model. The validity of the mathematical model is verified by the results of water model experiment. 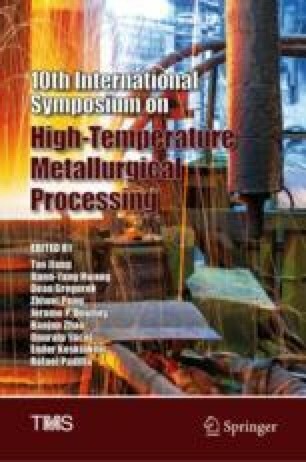 The optimized L/H ratio and W/H ratio are obtained from the numerical simulation results, and it can provide a theoretical basis for the tundish used in steel mill.